Coming from an very Irish family (as you can tell by my name), I always watched the St. Patrick’s Day Parade every year. It was as much of a tradition as the Thanksgiving Day Parade. However in 2009, instead of watching it on TV, I headed to New York City. However, it wasn’t to watch the parade, but to march in the parade! 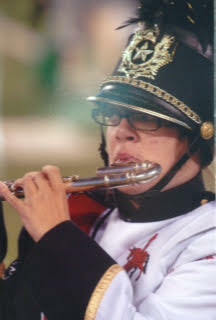 I was in ninth grade, and it was my first year in marching band. Every year, all five marching bands from our district would march in the parade. Being on the field in marching band is always an exciting experience, but marching down 5th Avenue is something completely different. Not only are you marching in unison with your peers, but you have hundreds of people cheering you on throughout the entire route (and if you’re lucky, maybe even get on TV!). I remember all the memories of playing my flute while my parents cheered on from the bleachers, marching on that red carpet with my classmates as we tried to avoid looking at the cameras, and shaking my head as I realized watching it back that the commentators didn’t know how to pronounce Sewanhaka District. To this day, I can’t listen to “On Broadway” or “You Can Call Me Al” without smiling and thinking of the parade (and what seemed like the hundreds of times we played those two songs! ).